Alas, Mad Scientists refuse to listen to reason and this is what is going to happen. 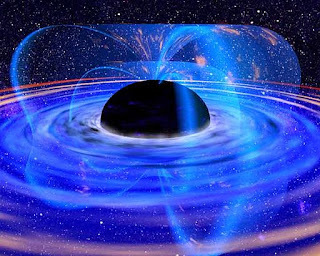 Regarding very small black holes, here is a wikipedia link talking about them. It doesn't seem to mention the idea of ravenous consumption except in the "fiction" section. It does say the energy required to create them with collisions is probably beyond what is possible today, and that they would in any case be "immensely unstable, and almost immediately disintegrate." However, the writers of these calming statements are being challenged to produce citations. So look at the picture and plot how you're going to get out of that thing. Wikipedia has it's detractors but is supposed to be pretty good when it comes to science articles anyway.